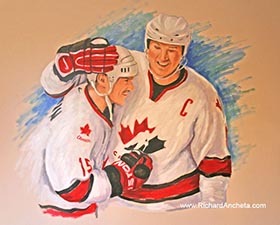 A new way of designing and decorating the walls by a personalised choice of sports hockey players and celebrity portraits for walls of a cinema home entertainment. 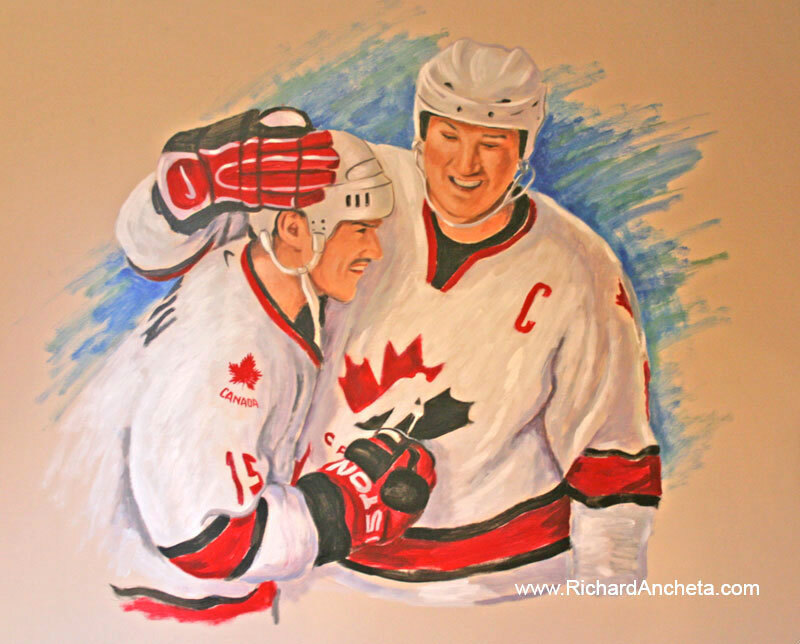 Choosing as a design motif, the most favorite hockey players, sports and great celebrities painted in each wall for a new design of decorating my clients private home cinema entertainment are challenging because the precision of portraiture are required. 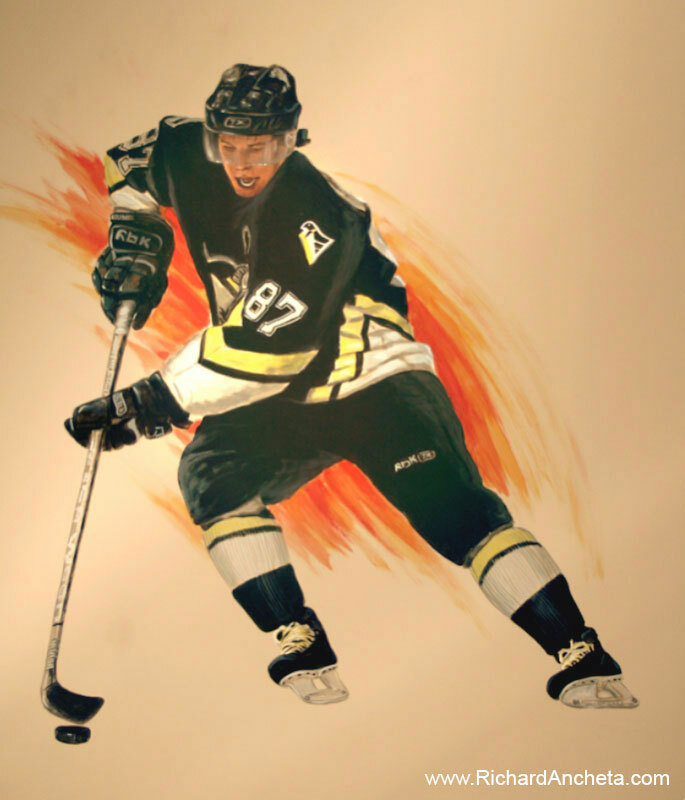 Mural portrait of golden boy Sidney Crosby, with the design of color motif of black and yellow. 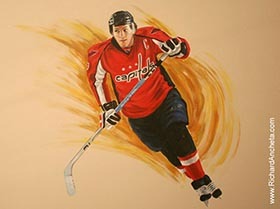 With the portrait and the speed lines background give a harmony design of this most favorite hockey star Alexander Ovechkin with his superb black and red outfits. 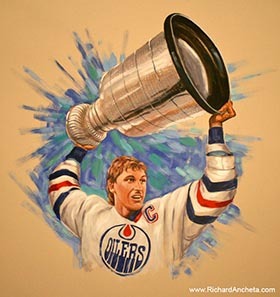 In this section is capturing the metal texture of the trophy with the portrait of the great one Wayne Gretzky in his triumph of victory. Mural portrait of Maurice Richard "The rocket" is the all time legendary Quebec's hockey player. 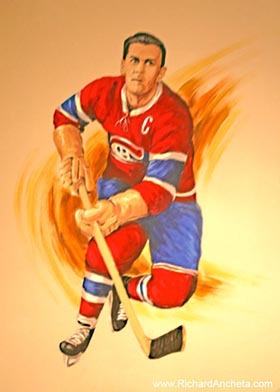 Mural portrait of Mario Lemiuex "The Magnificent" is also known as the super mario of all-time hockey favorites. 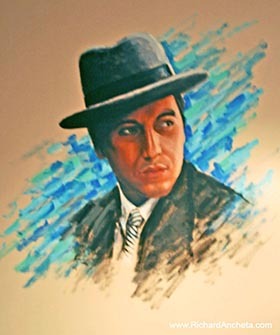 Mural portrait of Kate Winslet is the reception decoration. 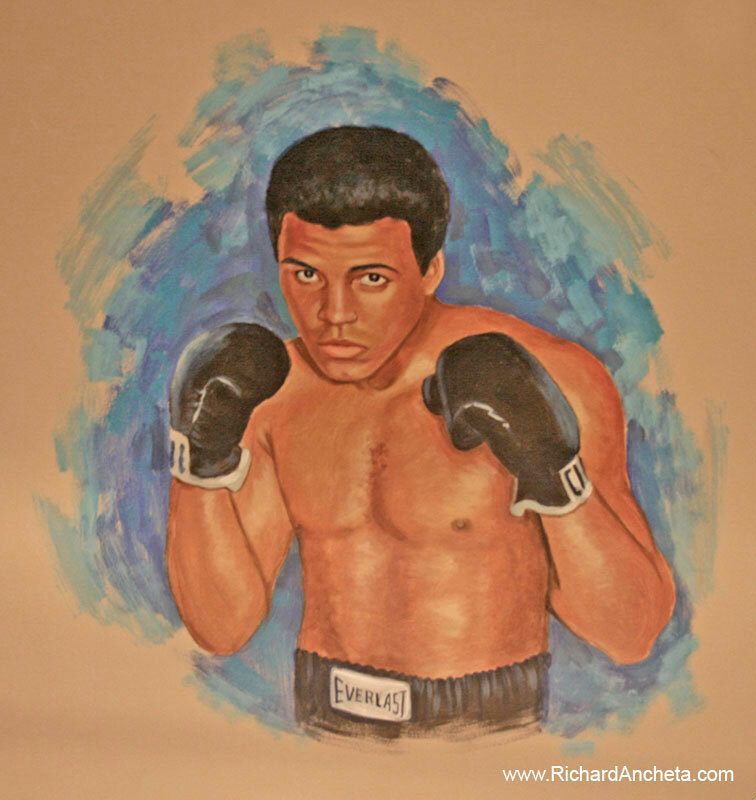 Mural portrait of Muhammad Ali, the most favorite and a greatest boxing icon. 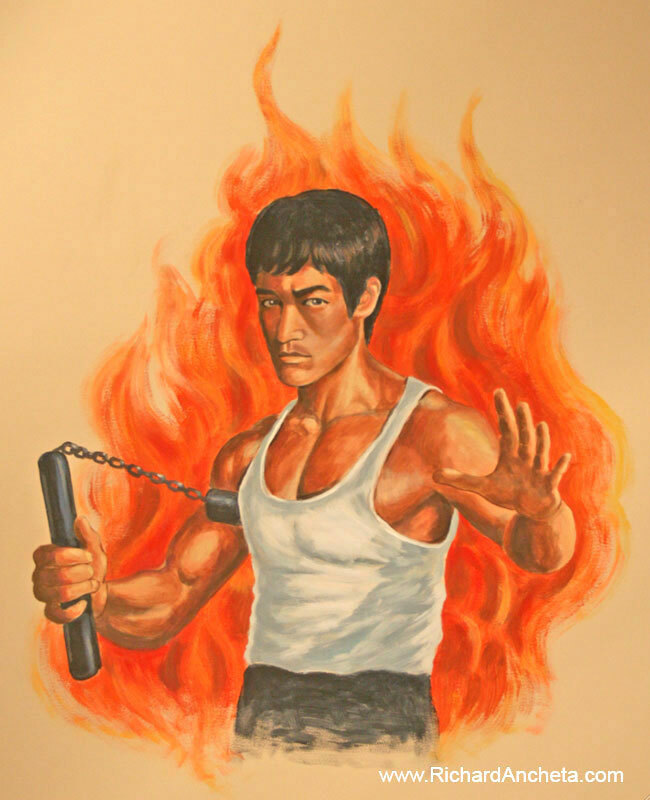 Mural portrait of Bruce Lee, an icon of martial arts . Mural portrait Al Pacino, one of the greatest actor in all of film history.